God’s true love and who He says we are. “We women are busy. Busy trying hard. Busy working to do things right. What would it be like if we heard words, just for us, reminding us what is most true about our identities, about our life, about God? Would life be different then? Would we be different? Can you imagine? 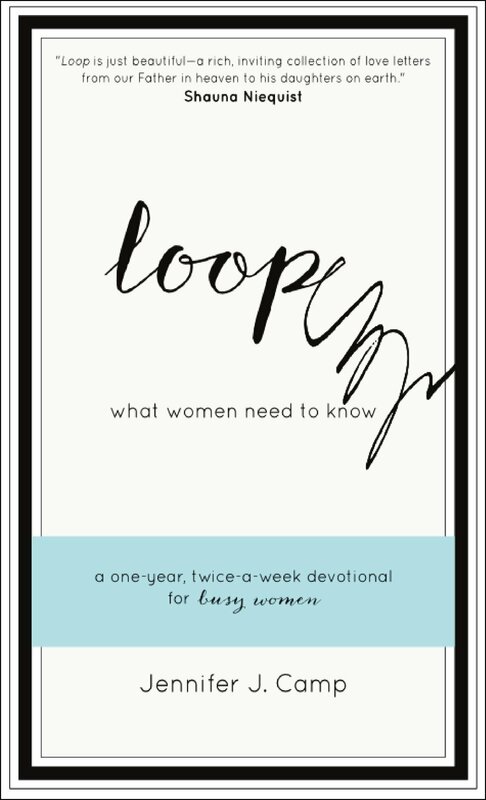 Loop is a one year, twice-a-week, Christian devotional for busy women. It is a collection of whispers to women, encouraging them to lead lives that are less “filled” with things to do and check lists to complete and more “full” of love from God. Loop is for women who are busy. Women who are weary. Women who are lost. Women who are finally ready to lay down their burdens. Women who are eager to abandon the lies they’ve been believing-about God, about themselves, about how they are made and what they are designed to do. “What happens when brokenness stains our spirits, when the hurts of life linger? So we put on our false faces, the ”life-is-just-fine” masks, while we bury ourselves in family, career, and service to others. And we fall silent. But that’s not God’s plan. In When A Woman Finds Her Voice, author Jo Ann Fore engages your heart and mind as one who knows your fears and frustrations. 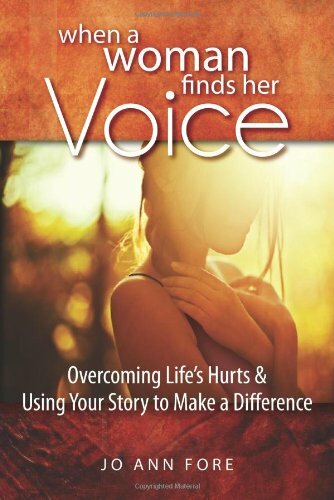 As a certified life coach, she unpacks a message of hope and freedom with a gentle boldness that can only come from one who has walked the journey. ❀ Beating Your Past Pain – Kelly Balarie shares some important truths here – “Unveiling your past pains before the Great Healer, allows your past pain to become healed pain.” Includes a list of Scripture verses of what God says to us. ➺ All About Birds by Cornell Lab of Ornithology – An online guide to birds and bird watching. Includes live bird cams. ➺ Insects and Bugs on the Web – “This site aims to help you really see insects for the miniature marvels they represent and to understand how intertwined our cultures have become with these alien creatures.” Includes stunning macrophotography. Hi Trudy! You do such a nice job of finding pearls on the web! I have just met Kelly and her #RaRa Link-up, and I’m finding her writing to be such a joy. I’m still reading Spiritual Whitespace, and I’ve recommended it to a few people too. We have similar tastes in writers I think. It always amazes me how much there is in blogging, how rich the content. God has been very generous with his gifts. And I include you in that! Thank you, Ceil. Pearls on the web! I like that! 🙂 I love Kelly’s writing, too. I haven’t known her that long yet either. You are one of God’s generous gifts to me, too! God bless you! Hugs! Thank you, Dolly. I’m grateful you’re encouraged. 🙂 Blessings and peace to you, too! Hugs!